NEW YORK (Reuters) - The U.S. government said on Monday it plans to auction over 2,700 bitcoins that were forfeited during several cases, several of which stemmed from investigations of the online black market known as Silk Road. The U.S. Marshals Service said that the online auction would be held on Aug. 22, and that potential bidders must register by Aug. 18. The bitcoin are worth about $1.6 million, according to the Bitstamp exchange. The auction is the latest by the Marshals Service of the digital currency. It completed four prior auctions from June 2014 to November 2015 of bitcoins seized during the prosecution of Ross Ulbricht, who authorities say ran Silk Road. His case is one of nine criminal, civil or administrative matters from which the Marshals Service said the 2,719 bitcoins had been forfeited and are subject to the latest auction. Ulbricht, 32, was sentenced in May 2015 to life in prison after being convicted for orchestrating a scheme that enabled more than $200 million of anonymous online drug sales through Silk Road using bitcoin. He is appealing. 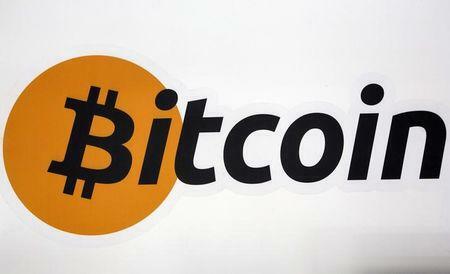 Only about 2.8 bitcoins in the latest auction came from Ulbricht's case, the Marshals Service said. The bulk of the bitcoins in the auction, 1,294, came from a civil forfeiture case related to a Silk Road drug dealer, Matthew Gillum, who was sentenced in 2015 to nine years in prison, the Marshals Service said. It said another 65 bitcoins came from the case of Carl Force, a former U.S. Drug Enforcement Administration agent who was sentenced in October to 78 months in prison for stealing bitcoins during the Silk Road investigation. The agency said another 664 bitcoins came from the case of Sean Roberson, a Florida man who prosecutors said created an online shop for selling counterfeit credit and debit cards. He was sentenced in November 2015 to 78 months in prison.